Elle Fanning and Joel Courtney, working on a film within the film in a scene from 'Super 8' -- which opens June 10. What will you be doing this summer? 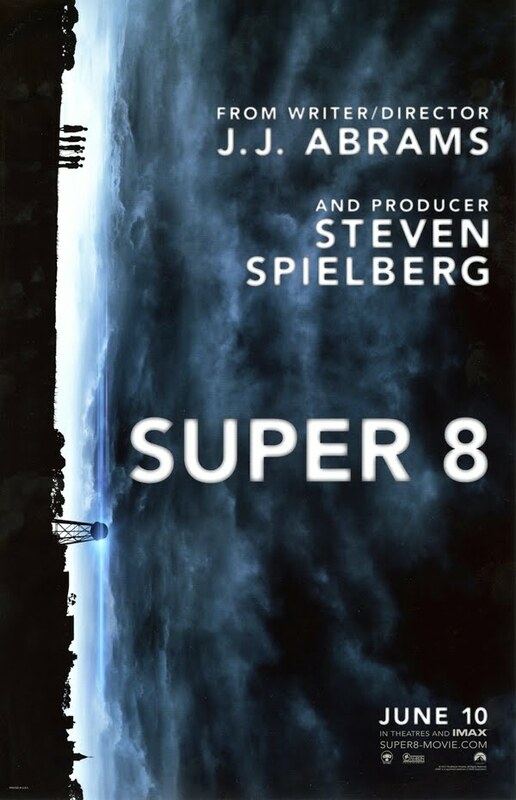 Chances are, you will be seeing the movie “Super 8” – a Steven Spielberg production whose young characters embark on their summer vacation set on making their own movie. And it works, almost totally. Almost? Well, take a cast dominated by a bunch of barely-teens and some of it is bound to be a bit over the top. But hey, they’re kids, and I’ll even forgive director J.J. Abrams for the one with the tendency toward projectile vomiting in particularly frightful moments. The plot opens with the aftermath of a funeral for the mother of young Joe Lamb (Joel Courtney), crushed in a tragic steel mill accident – which only interrupts the planning of his boy pals on putting together a Super 8 zombie movie. A TV newscast gives away the time frame, with the 1979 near-disaster at the Three Mile Island nuclear power plant. But nukes, otherwise, have nothing on this unfolding tale. Here, in the fictional small town of Lillian, Ohio, the boys – with a winsome, slightly more mature Alice (Elle Fanning) surprising them by agreeing to play a role – head out late at night to shoot a scene at the local rail station. Their little drama, in which Alice stuns the boys with her acting ability, is overtaken by a much larger event as an Air Force secret cargo train smashes into a pickup truck driven onto the tracks by their school’s science teacher, and derails and explodes. The camera, dropped as they flee in terror, keeps on recording and – this is, after all, 1979 – the film comes back from the processing lab a few days later with an image that helps unravel some of the ensuing bizarre deaths, disappearances and disruptions to the normal course of events. There are predictable elements, like conflict between the single fathers of Joe and Alice – the former being the town’s deputy sheriff, the latter a mill worker with a drinking problem whose shift was being worked by the mother when she was killed. But a bigger conflict develops between Deputy Dad and an Air Force colonel caught up in a whole lot of Area 51, space alien autopsy stuff. Enter the monster, stage left... right... up... down. Sort of a cross between the insect-like critter in “Alien” and a “Transformers” construct, it has the eyeball appeal of E.T. And really, he, she or it just wants to go home. Getting it there, well, that was a lot of fun. The stand-in for fictional Lillian, Ohio, was filming site Weirton, W. Va., which is now on my future travel itinerary. Be nice to see what’s left of the place after all those explosions, not including the lone f-bomb that, along with plenty of action, may account for the movie’s PG-13 rating.